This is an airsoft gun made by H & K with a full black bandage, an impressive sensation of luxury and mystery. Sold at a very good price, this gun seems to be aimed at any novice user who wants easy pistol operation but with high accuracy. Made in Taiwan, this airsoft gun is difficult to distinguish from its original version as the ratio between the two is 1: 1. This gun is made with high quality material, heavy ABS Polymer with durable design. For novice users, this type is highly recommended as it is a non-blowback type. The size of the bullets that can be used is quite varied; 0.20 g, 0.23 g, and 0.25 g but 0.20 g is the most recommended for best accuracy. The security device provided is sufficient in its class, with a choice of semi and safety selection modes. Ergonomic stippled grip ensures each user can hold the gun without worrying it slipping from the grip. 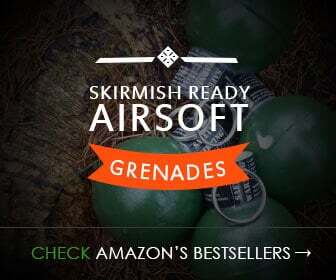 The airsoft gun is sold on Amazon and some other popular online stores and if you are observant enough, you can save up to several tens of dollars by choosing the right store. Although intended for beginners, this device still has risks and its use must follow Federal Law. 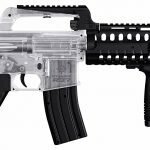 In terms of legality, this airsoft gun is circulated on an official license by Umarex. 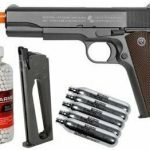 If you are on the hunt for the best airsoft pistol, take a look through AirsoftCore’s guide here. You can get a lot of shots from just one cartridge. One of the most impressive things is that you can leave CO2 gas in the device for up to several months without encountering any problems when you re-use it. With the low price offered, it seems that H & K wants to give the message that a quality pistol does not have to be expensive. 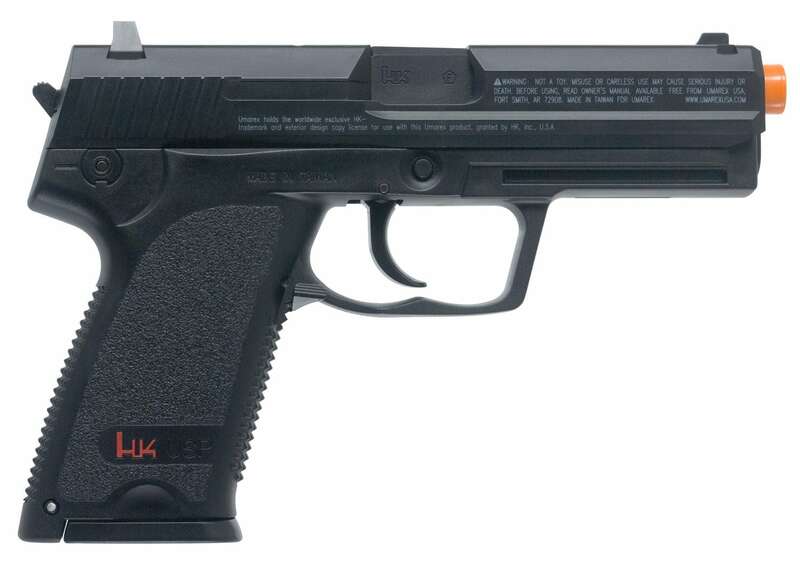 A competitive grade CO2 Airsoft Pistol from H&K with realistic hammer action, gas chamber lasts a long time.